The highest of the high-end CPUs that was announced is the Intel Core i9-8950HK, which can get up to mind-bending speeds of 4.8 GHz with turbo boost. 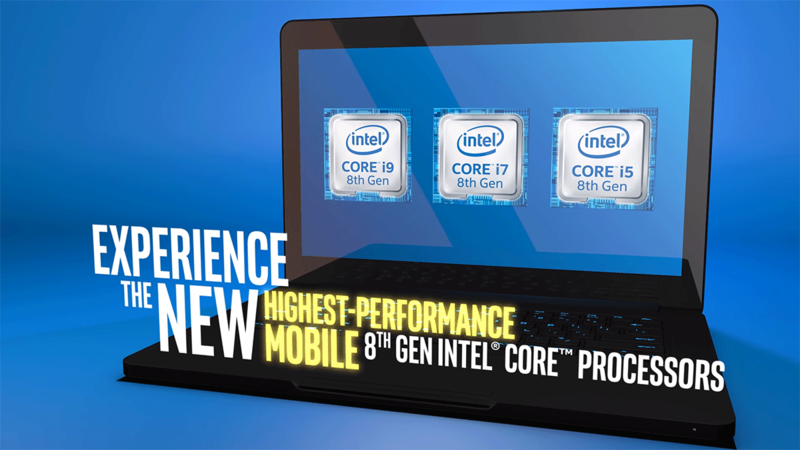 It’s the first mobile Intel CPU to be capable of offering no less than six cores and a whole 12 threads, which Intel says means up to a 29% overall speed increase when compared to the previous seventh generation chips. That also apparently means a 41% improvement when it comes to gaming, which is impressive, but anyone doing 4K video editing will be more interested in the 59% speed increase they can expect. Alongside the new Core i9 chips, Intel also announced new i5 and i7 processors for notebook computers that are based on the company’s 14nm++ architecture, known more affectionately as Coffee Lake (mmmm, coffee). When it comes to the fastest of the fast, these new Intel chips are the beasts that everyone will want, and given the aforementioned news that Apple is looking to move away from Intel for all of its desktop and notebook computers in the future, it will be very interesting to see what performance capabilities Apple’s chips are able to offer when compared to the very best coming out of Intel.